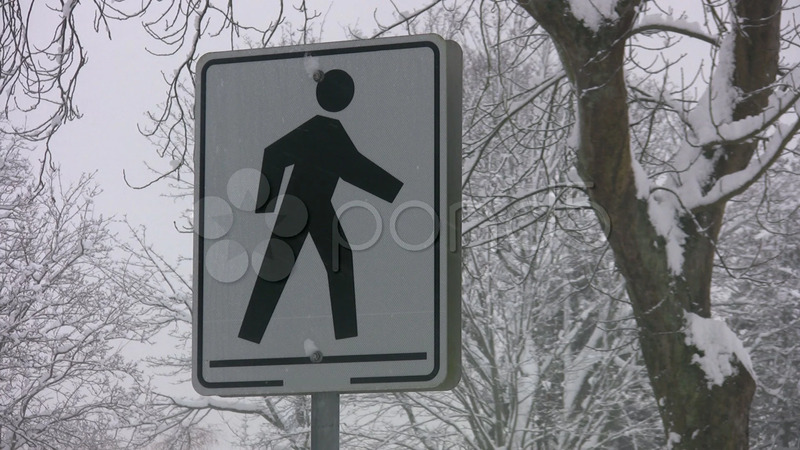 Pedestrian Sign In Snowy Park. Description: A sign warns to look out for hikers and pedestrians. Stanley Park, Vancouver, Canada.